A collection of stories, songs, ideas, and questions carved in stone. 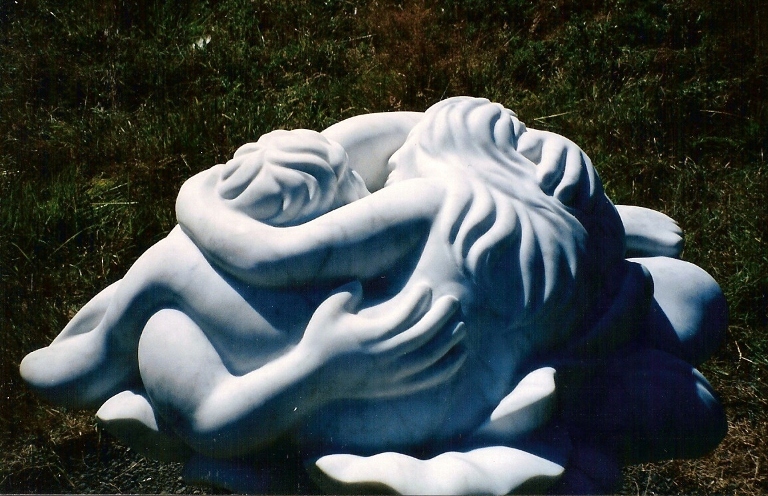 Some of these are statues, in public spaces, to be seen and touched by anyone who encounters them. 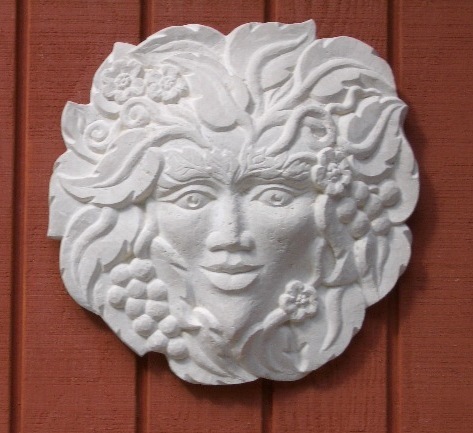 Some are memorials, specifically carved to honor someone or some idea. 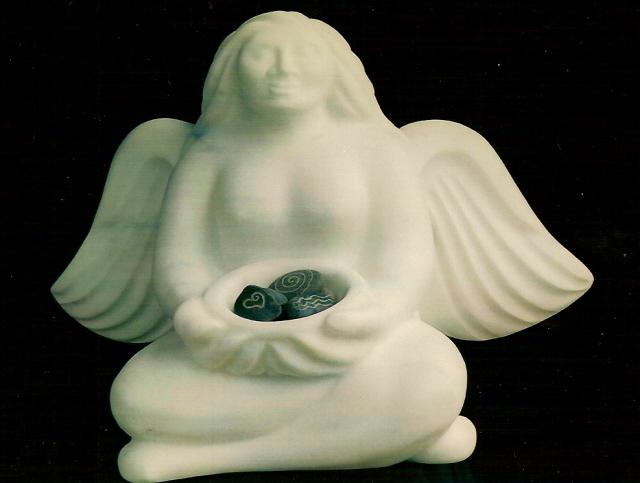 Some are small sculptures to be shared in gallery exhibits, commissioned for individuals, or given as gifts. Most are intended to illustrate narrative themes or philosophical notions, like the myths we tell about where we came from and our interconnectedness to all living beings. The notions of PEACE and LOVE are most apparent. 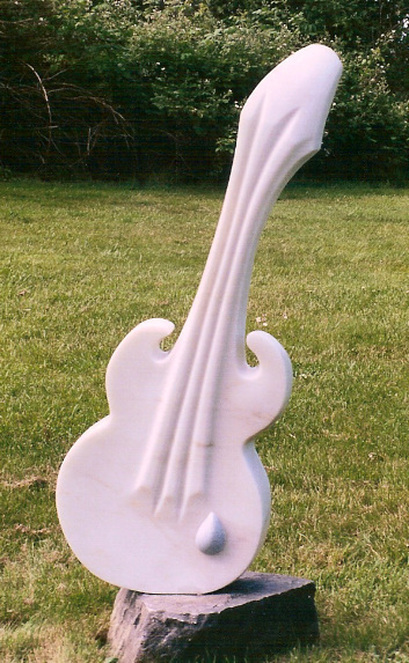 Yule marble with inlaid blue marble teardrop, 5 ft tall. My tribute to George Harrison, carved a year after his passing. 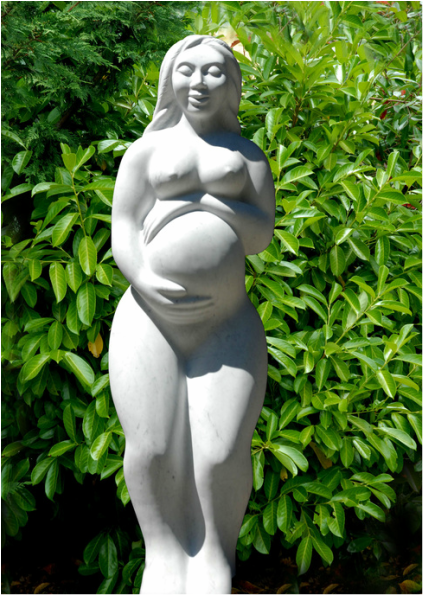 Granite, 6 ft tall, inspired by the song, written by eden ahbez, and sung by Nat King Cole, Roberta Flack, Marvin Gaye, Peggy Lee, Miles Davis, Lady Gaga, and many others. Italian marble with engraved message stones from Rosario Beach. She brings them to us from beyond our remembering. 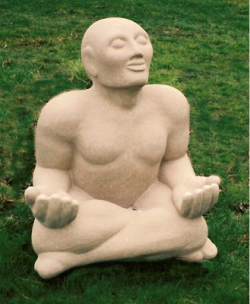 Limestone, 4 ft x 2 ft x 2 ft, this is the only negative image I have ever made, and it was one of those things that wouldn't let go until it was done. Illustrating the ultimate in unexpected consequences, it represents Everyman, chained down by three of our most ridiculous inventions: religion, technology, and war.